I have the original 4053 Holley carb for my 68Z but it has two broken ears on the base plate. 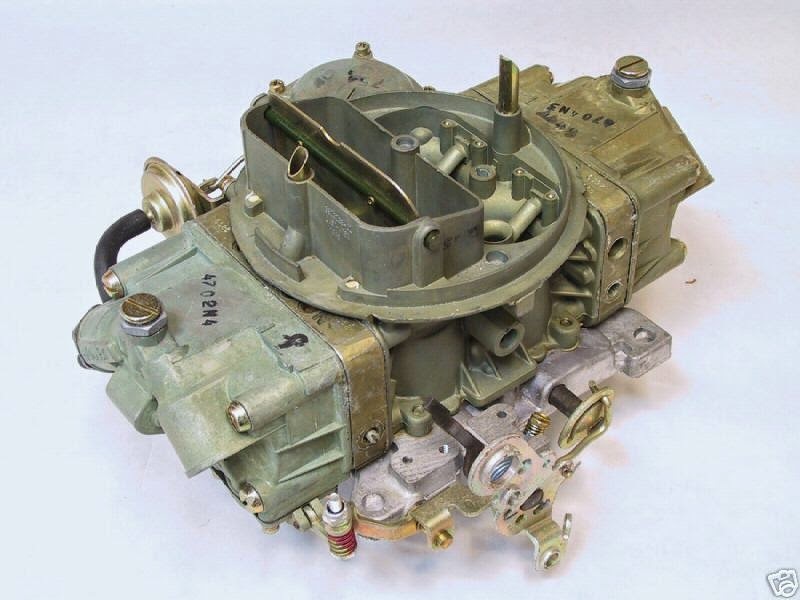 Is there any other carbs that the baseplate is the same as and will inter change with? I know that this is a 780 cfm carb. Mr 396 depending on what the base is made of, (metal wise) there may be ways to fix it. If memory serves: ID number on the plate is 12R-4770B and the butterflies have "172" stamped on them the bore diameter is 1 5/8". Vacuum secondary. From searching the internet I believe the replacement is the 112-117. You may want to read on this site under carb section about a engineering change done around 72 to the plate giving it more "beef". A purist is going to want to find an era correct piece. If function over form is your preference, meaning you do not care how it looks, welding can be done. Make sure you run a file over mating surfaces to true them up afterwards. Jerry does wonders with broken aluminum. HERE'S a sample of his work. I would contact him and see what he can do. Also, I believe Eric Jackson has some parts. Thanks. Helpful to see the difference. If you know somebody that welds aluminum and does machine work it can be done that way. A friend of mine took his carb, 4777 Holley 650 baseplate in for the resident aluminum welder to look at at the last place I worked. He welded it up no problem and then took it to the machine shop to clean it up and you could never tell it was broken. If you know somebody that welds aluminum and does machine work it can be done that way. Jerry MacNeish is a wizard when it comes to repairing Holley baseplates. Thanks. I will give him a call.